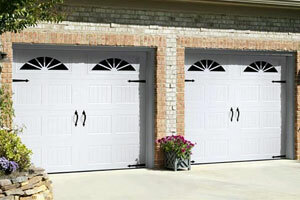 Does your Milan, TN, home need a new garage door? Could you benefit from upgraded attic insulation? Do you need a company that installs closet systems in Jackson, TN? Whatever your home improvement needs in Tennessee or the rest of southeastern United States, turn to the experts at 31-W Insulation. When we started as small business in 1972, we focused on insulation installation for homeowners in Middle Tennessee. Today, we serve 12 states and have helped countless individuals make their home improvement dreams come true, whether it’s through the installation of a carriage-style garage door, custom mirror, or outdoor fireplace. We also serve homeowners’ more practical needs by providing attic insulation, wire and laminate shelving, seamless gutters, and more. No matter what type of product you’re looking for, our dedicated team will help you select the item that meets your family’s needs and suits your aesthetic preferences. We’re proud to offer free in-home estimates for residents of Milan, Jackson, and surrounding areas in Tennessee. To schedule an appointment and to learn more about our garage door, attic insulation, and other home improvement products and services, contact us today.